Jason Kay was featured on the front page of the Hull Daily Mail recently, telling his story of homelessness and how he turned his life around to inspire others. 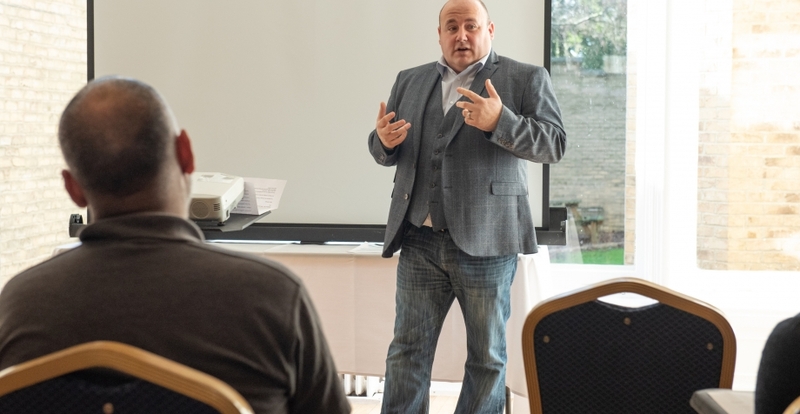 Jason was left homeless as a teenager when his dad threw him out and has spoken of his journey to running a successful business to inspire others. He was just 17 when he came home to find all of his belongings in the garage of his dad’s house. With help from charity Doorstep of Hull, however, he found himself a permanent home in Orchard Park, and secured a job. He said: “I ended up in a better place, but I still hated living in Orchard Park". His girlfriend at the time stuck with him through the tough period, and 30 years later the pair remain together and married. He faced another challenge when he was 26, when his mum died suddenly. Jason said he launched a number of companies without success, before he co-founded online sales firm The Marketplace with Gareth Alexander. Jason is also currently works with homeless charity Emmaus in Hull, to support people who have fallen into hard times in the city. “I experienced a lot of crime when I was young, not from within the family but in my surroundings,” he said. Jason said his big breakthrough came when he joined Barton-based Kimberly-Clark in 1993.